Merry Christmas to you. 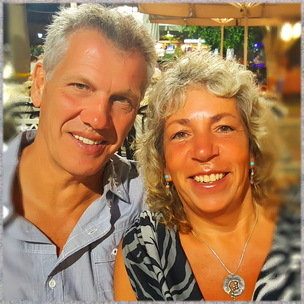 This is the last email from us in 2018 but we hope that in 2019 we will get inspired and creative every month, with things to share and encourage your encaustic art evolution. This year has been a big step for us as we moved into the re-branded Encaustic art packaging. The quality of all the tools and products is very good and the new look has been well received; we are pleased. 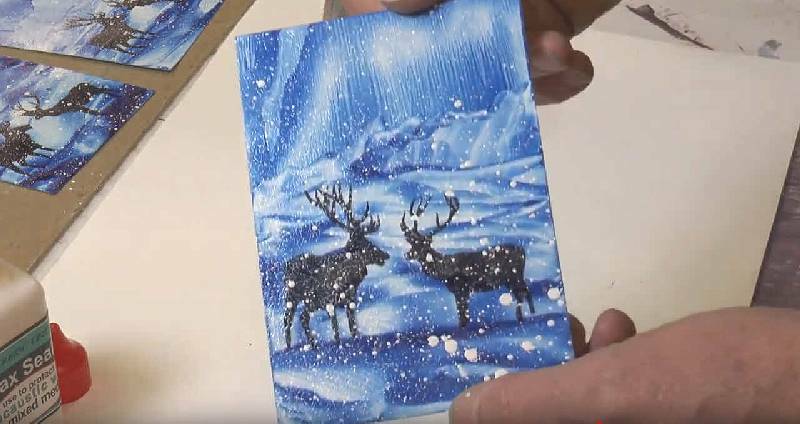 Christmas Cards 2018 - Stags in the snow - video tutorial & greetings! Here a 3 alternative ideas. 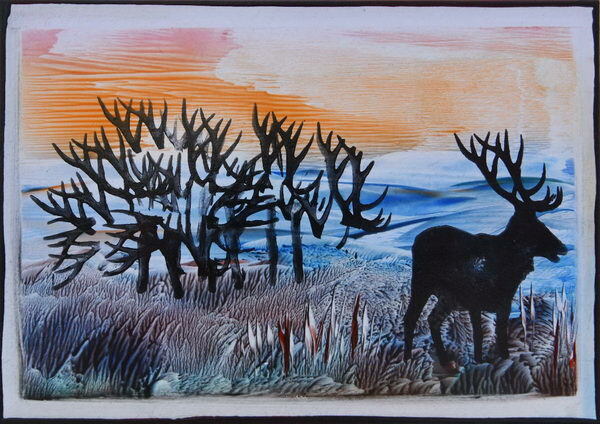 The bushes and trees are made with the reindeer antlers and the reindeer itself was masked off - a card put in the way, so the body of the reindeer printed onto that card and the antlers onto the painting card as wished wanted. 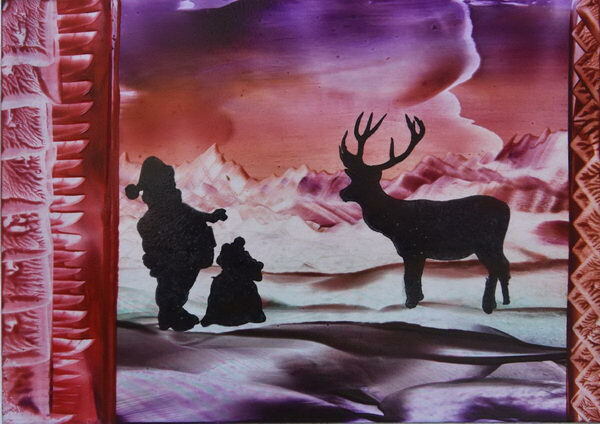 Our Christmas cards above were created using two polymer clear stamps from the new stamp range introduced this year. 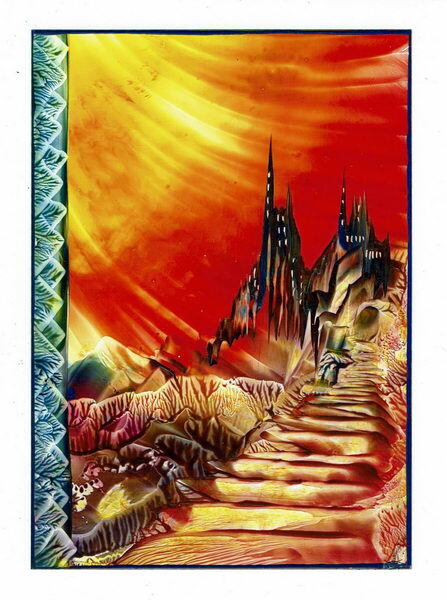 There are all sorts of combinations that can be used creatively in your designs with molten wax, or just as stamps if you prefer. 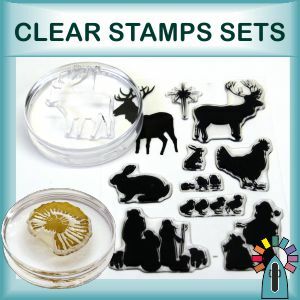 Take a look at the clear stamp range to see what possibilities they offer. 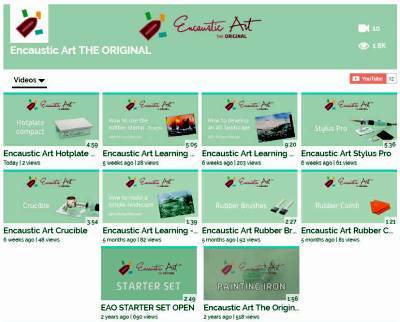 The new book and DVD published this year introduces Encaustic Art BASICS as a set of complementary learning aids. The twin DVD disks have all the live action, almost 4 hours of it! 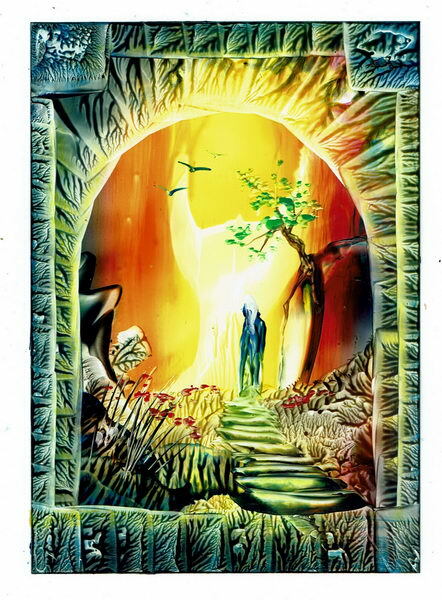 Then the 80 page A4 format book has all of those and more in very illustrated step by step project pages. Get the BASICS. 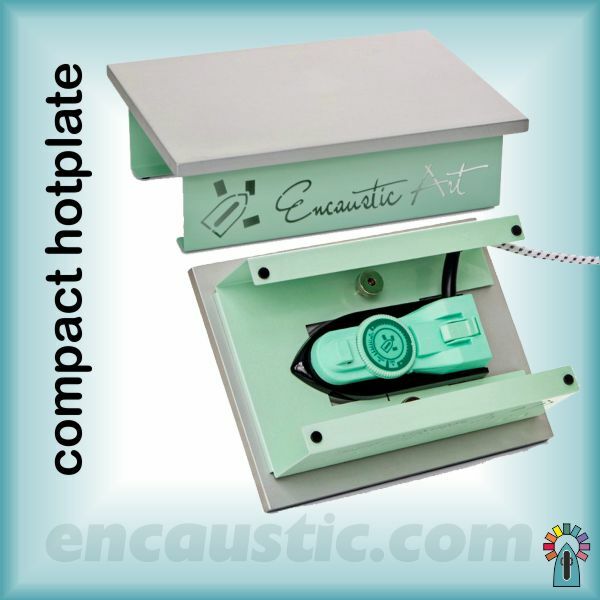 The new Hotplate compact #99530301 has proved very popular this autumn. 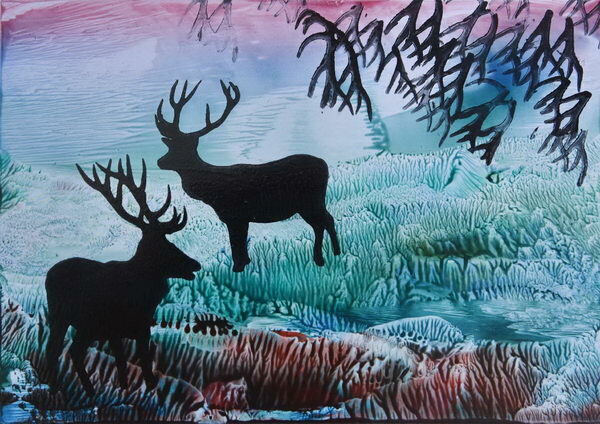 You can click this link to watch a short video of this new addition to the Encaustic Art range, or go to the page where all the currently available Encaustic Art short videos for product and learning are available and easy to watch. 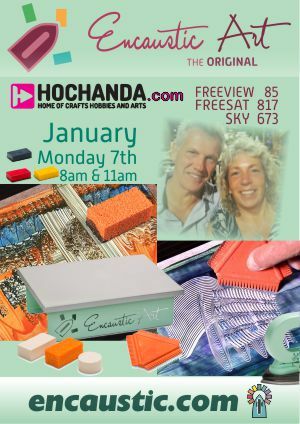 The Product Video page hosts short films which introduce and explain the various products in the Encaustic Art range. There are also a growing collection of Learning videos intermixed with these. Lots of helpful insight when you are working toward building skills or looking into the possibilities of what various qualities the products can offer to your creations. Yes, another 2 hours of hot wax fun! 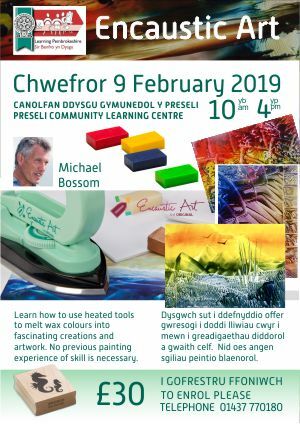 A local course in Pembrokeshire for beginners - just a day of fun together. 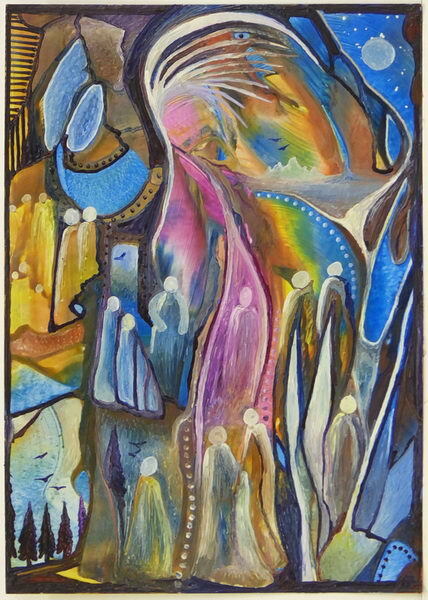 Over the last weeks I've been enjoying creating images in the encaustic art wax colours. Even after 32 years of playing and working with this fascinating medium I still find pleasure and happiness as well as challenge and evolution. Craft is the skill involved in working with materials. 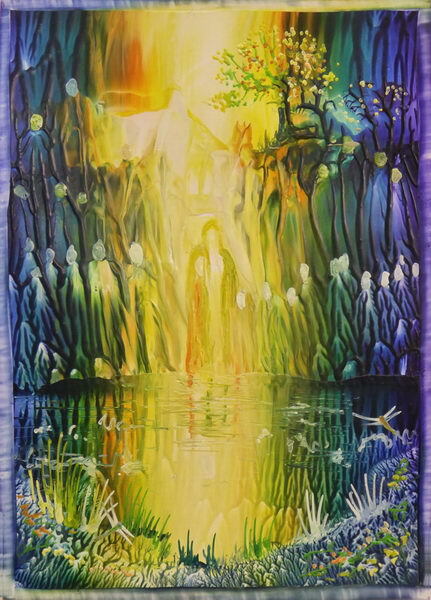 The art comes as each of us discovers and expresses individuality within those skills. 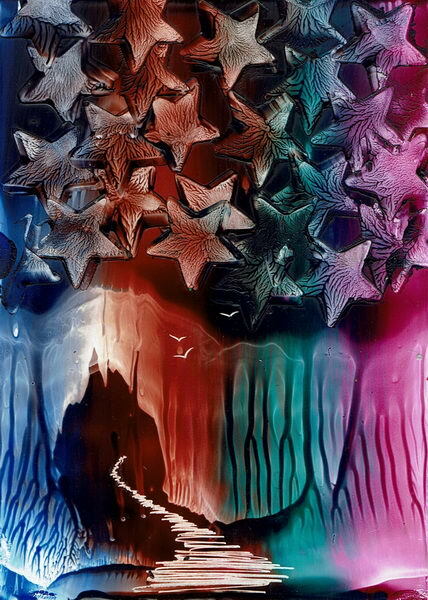 One of the things that continues to stretch me in the genre of encaustic work is the way in which this alchemic material, the molten wax, often reveals things that were unexpected. 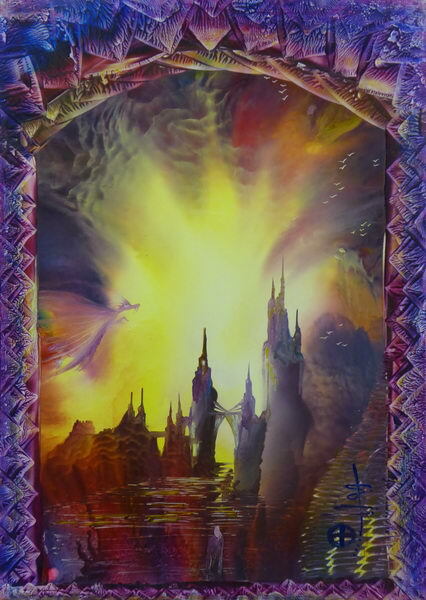 These offer the opportunity of reaction and development of images which can then take on an other-worldly impression. If you need any further information or help please use the links at the bottom to visit our Facebook page or the YouTube channel page. Also our website and email contact address. 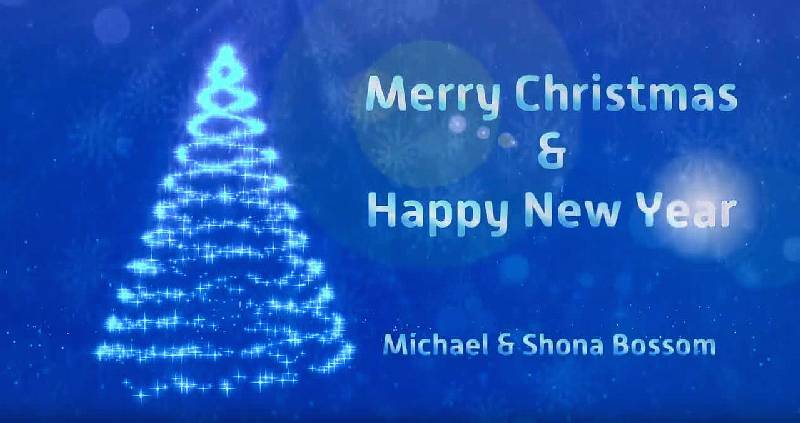 Have a lovely break over the end of this year and may next year bring us all a rich experience of life and creativity.